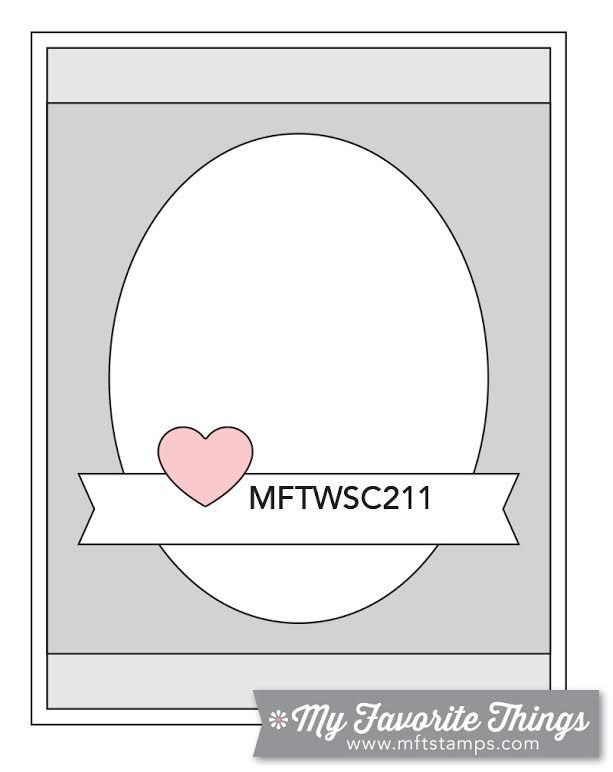 I wanted to make a card with a bookmark attached for a young man who is battling cancer. Using beachy colors and no frou-frou, I think this will be just fine for a guy. Because the bookmark is sooooooo much longer than my envelope, I cut a small slit in the envie and covered that with the banner. The bookmark now slides into the envelope like magic! This card is perfect in so many ways, Penny. 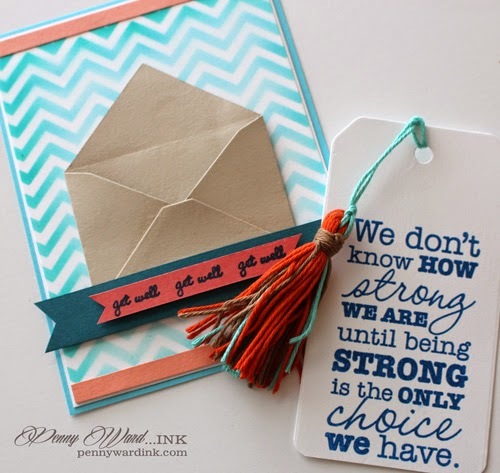 Love the colors, the tassel, the bookmark idea and that sentiment is just right for a person battling cancer. Cheerful yet masculine! This is just so awesome - I love the thought and care you put into your creations!! Perfect saying for this situation!! You are an inspiration - not just to me but to so many others!! Love seeing your clever and cool ideas!!! Love the colors in the bookmark's tassel - so beach-like!! This is fabulous Penny! Love the bookmark and the sentiment and your design is fabulous (as always). SO glad you shared it with us for the Scrapy Land Challenge too. Wow, what a sensational card and fabulous cheerful colors! Thanks for joining us in the Scrapy Land Challenge! Love your card and the cute little tassel you made. Such a perfect little treat for someone. I'm a new follower! WOOO! This is wonderful! Love the pocket design with the tag sentiment. Cool tassel, too! Wow! I love the sentiment on that bookmark! Great card! Thanks for playing along with us at Scrapy Land Challenge #9! What a GREAT gift, Penny! Fantastic work.